It was an honour to be invited to speak at The Art Conference, it was an incredible and inspiring event! 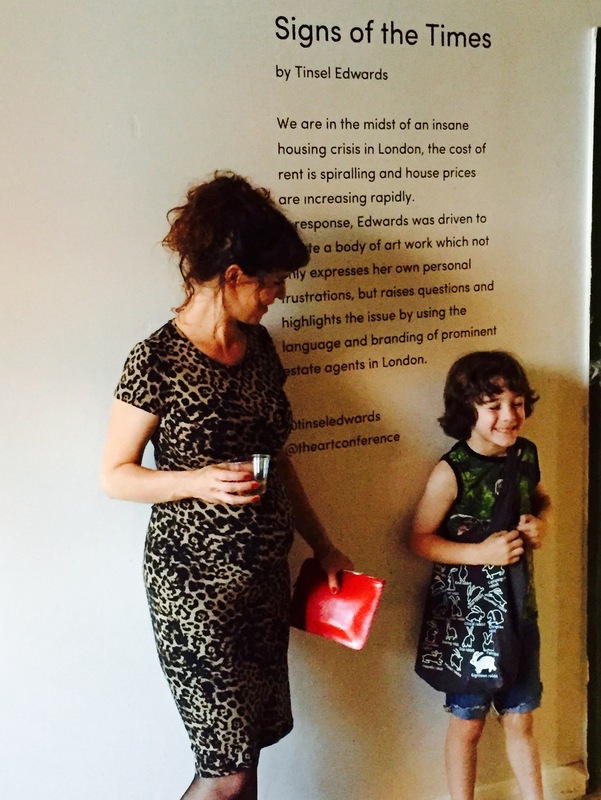 Organised by Tina Ziegler, the conference took place on the 23/24 July and hosted 30 international key note speakers at The Ugly Duck building in Bermondsey. I exhibited my estate agent signs and presented my work at the conference on the Sunday, participating in a panel discussion hosted by Doug Gillen of Fifth Wall TV. I talked about how my work has responded to the issues surrounding the housing crisis, what motivates me as an artist and how that connects with the processes I choose and the work I make. I explored the question of whether art with a political focus can have a real impact on social change. I was especially inspired by Mia Grondahl who created Women on Walls in Egypt, to give a platform to female graffiti artists: 'WOW uses graffiti to talk about women and women's rights, with the aim to contribute to the empowerment of the Arab woman'. Her story of the women involved in WOW was mind blowing. Charlotte Webster of Human Nature was equally inspiring, she has created an organisation which brings together artists whose work highlights environmental issues. Dan Witz, a street artist from New York talked about his work and how it has changed over the past three decades, he has worked with Amnesty International, it was wonderful to see exquisite detailed painting out on the streets. 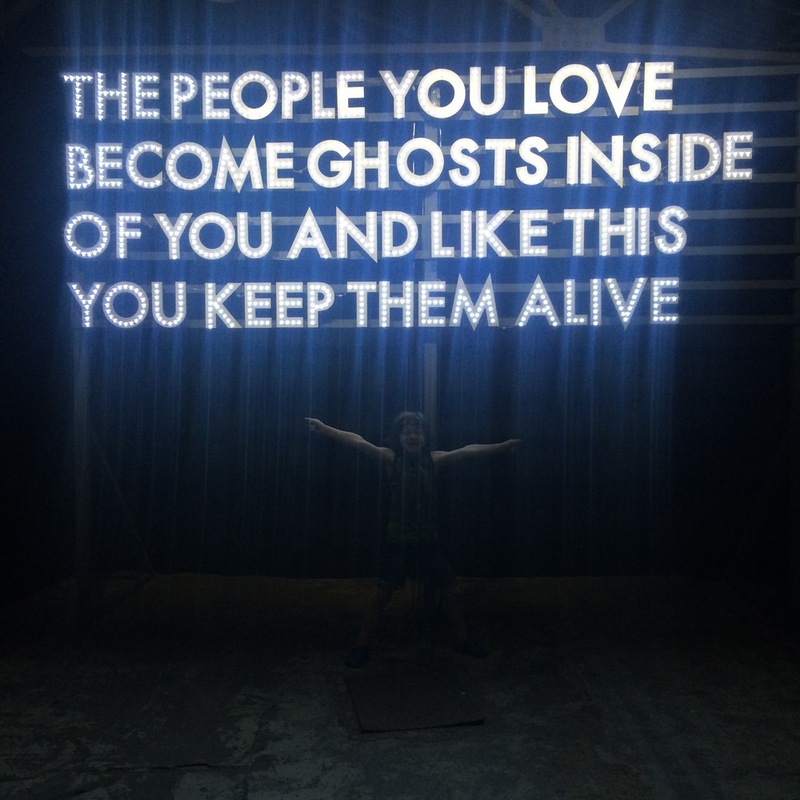 There was an excellent installation by Maser, and a beautiful light/text artwork by Robert Montgomery on display. The Art Conference - One week to go! The Art Conference launches next Saturday 23 July, I am really excited about exhibiting my art work and speaking at this incredible sounding event. Will Vibes, Dan Witz, Maser, Colin McMaster, Jose Montemayer, Mr Penfold and Robert Montgomery. THE CONFERENCE will be taking place on the top two floors, with lots of different guest speakers participating, curators: gallerists, artists, people from the tech industry and activists. This part is ticketed, tickets are available from the website: theartconference.com There are discount tickets available, please contact me for information. And all of this will take place in a stunning 19th Century Warehouse space in London Bridge! I can't wait to meet the other artists and speakers, to hear directly form the artists themselves about their work and what motivates them. Hope to see you there. My painting 'If I Snogged Nicolas Serota' is currently on show at 'Bad Art' at Stour Space in Hackney Wick. 'Bad Art' is curated by Anna Choutova, the show runs until 11th July. This painting was made in 2007, it's nice to see it up in an exhibition again. I am thrilled and very excited to announce that I have been selected to be on the panel of speakers at the very first Art Conference. Visitors will 'experience the intersection and evolution of technology, art and culture via a programme of international keynote speakers, each renowned for addressing, confronting and impacting social challenges through artistic expression'. From now on I will be posting news about exhibitions and new artworks here, instead of on blogspot. There aren't any exhibitions coming up in the near future, but I have some long term plans to set up my own version of a fully operational Estate Agents shop on the high street. I'm excited about this idea, but it will take a long time to come together! I'm hoping in 2017 sometime. So at the moment I'm busy creating the work which will be on display in the shop. I've also just started working on a book about housing, this is a collaborative project and information will be revealed soon. Thanks for you interest in my work, more updates soon!